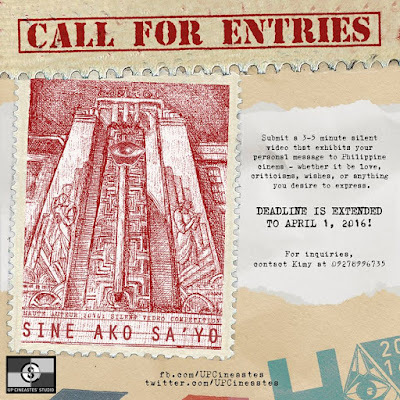 UP Cineastes' Haute Auteur: Sine Ako Sa 'Yo deadline is extended to April 1, 2016! Haute Auteur is an annual silent film competition open to all aspiring filmmakers and film enthusiasts. This year, you're invited to express your personal message to Philippine Cinema, answering the question "Sine Ako Sa 'Yo?"